Have I mentioned that I am a horrible very successful procrastinator? I'm thanking the bloggers who so kindly gave me the awards. I'm passing each award on to just one blog each - a total of four blogs. I only picked blogs with under 100 followers and blogs that I have NOT featured yet either through a project or a Monday's Buttons post. 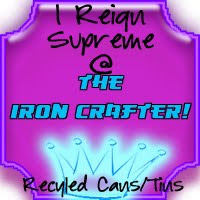 These blogs and bloggers deserve some shout outs! The receivers of these awards don't have to do any of these rules. They can simply acknowledge that they received an award (if they want to) and do whatever they want with it. 1) I'm going to be 33 in a few short weeks, but for some reason, I keep thinking I'm more like 23. 2) I've lived in China and London and loved every minute of it. 3) I desperately need a haircut. 4) My husband says I have ugly feet . . . and I TOTALLY AGREE! Michelle at A-Tisket A-Tasket gave me a new award that I haven't seen before, The Cherry on Top Award. Michelle shows off some great children's books on her blog. I love children's books! Thanks Michelle! I'm giving this award to . . .
Miss Sews-it-all. I pretend to sew. This gal really sews . . . REALLY! She makes me want to be the better sewer I will probably never be. 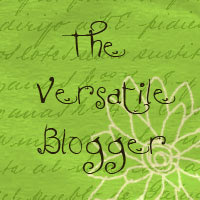 Calista at Calista's Ramblings passed on the Versatile Blogger award. Thanks Calista! 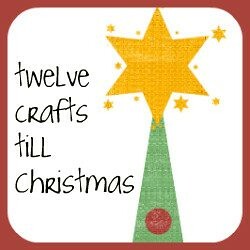 Mama E over at Home and Hearts has it all on her blog - crafts, music, books, deep thoughts, clever ideas . . . talk about versatile. Golf clap for Mama E! 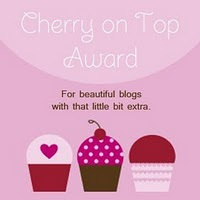 The Beautiful Blog Award by both Felt Like Stitchin' and Papgena Made It. I'm so thankful to both the gals behind these blogs for passing on some beauty to me. And this award goes to (drum roll, please!) . . .
Kelley over at Kelley Highway has sort of been with me since the beginning of this blog. Although I don't know her in "real" life. I've come to know her as a beautiful and encouraging person. Thanks Kelley! 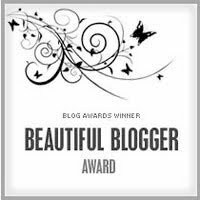 You are definitely a beautiful blogger! Whether you gave or received an award, you have all inspired me to . . .
Elizabeth! Thank you! Golf clap back at you! I think I just might pass the award on...if I can find the time. Also, I haven't told you how much I appreciate your comments. 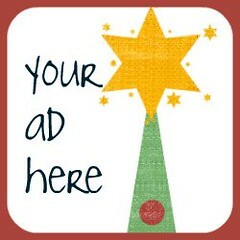 You are a devoted blog reader. I love that! Congratulations on your awards. Very well deserved! Congratulations on your awards - I don't want to tell you how bad I am at posting them as well, it's pretty embarrassing. I'm your newest follow from New Friend Friday! thanks Elizabeth! you've made my heart smile!